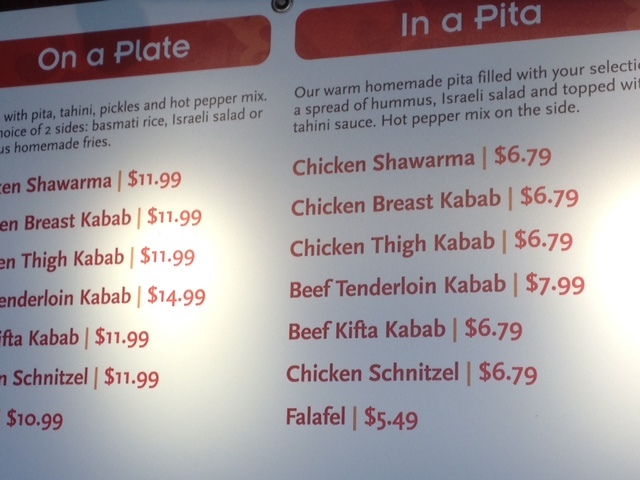 My wife and I recently tried a new restaurant in our suburb of Evanston that has been getting a lot of positive buzz because its owner is a well-known local restaurateur. My top-line review is Boltwood is good, with touches of great but with some work to be done. I, as always, would like to see more low-salt and low-fat options, plus more creative flavoring in what is available. 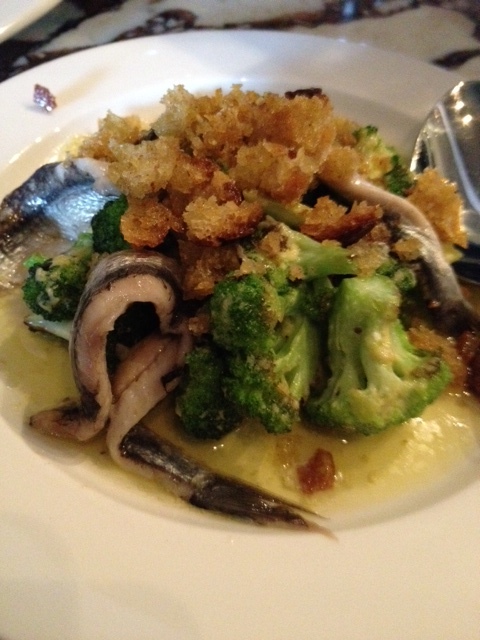 But I did have some wonderful surprises there, especially when I allowed myself to splurge on a side dish I knew would be salty by its very nature (it includes anchovies). I normally do most of the cooking in our house but recently my wife surprised me with a wonderful cookout meal one Saturday. She made zucchini and corn on one of our Weber grills, basting the zucchini with a truffle olive oil we bought in Italy last summer. 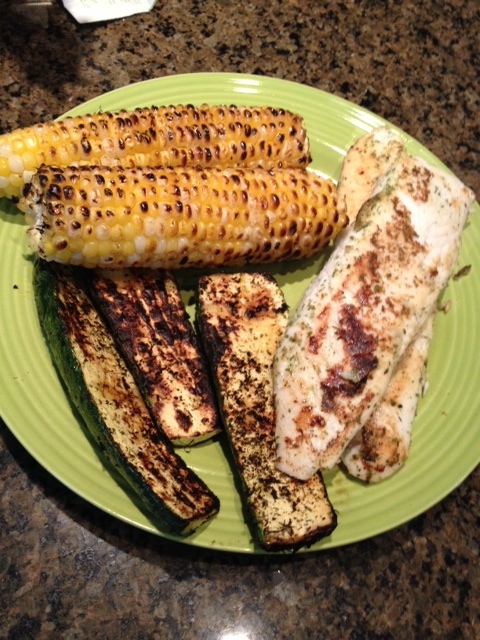 Our tilapia, zucchini and corn dinner. I’d substitute salt-free teriyaki sauce from Mrs. Dash, and leave out the chili powder because I can’t eat spicy dishes. Pre-cook the prawns by blanching in boiling water until white all the way through, take off heat and drain. 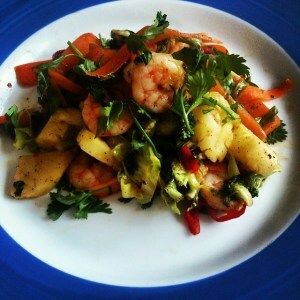 Prepare a sauce with the soy sauce, sweet chilli and lime juice – set aside for later. I might be tempted to try this with no salt and half the sugar. Bold flavors are the thing in my house. 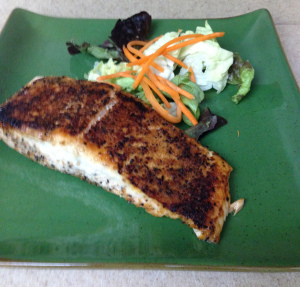 I cook salmon as often as possible, therefore I am always trying new ideas for flavoring it. I came a cross a recipe for pastrami rub for a meat, and thought why not tweak it a bit for salmon. Typically bold flavors go well with fatty fish like salmon, and this was no exception. The salmon had a nice flavorful spice crust. Rub both sides of the salmon with the seasoning mix. Place in an oven dish. Bake in 400 degree oven for about 15 minutes depending on the thickness of the fish. A good list of some low-fat protein options. I’ve found a 96% lean ground beef as well. I’ve been eating a lot more fish since my angioplasty in 2012. Salmon is my favorite and, so far, still considered healthy, although some disparage farm-raised salmon, which most salmon sold in the U.S. is. Another meaty, fleshy fish that can remind me of my steak-eating days is swordfish. Trader Joe’s sells it frozen for $8.99 a pound, so about $4.50 a portion if you eat half a pound at a sitting as I do. 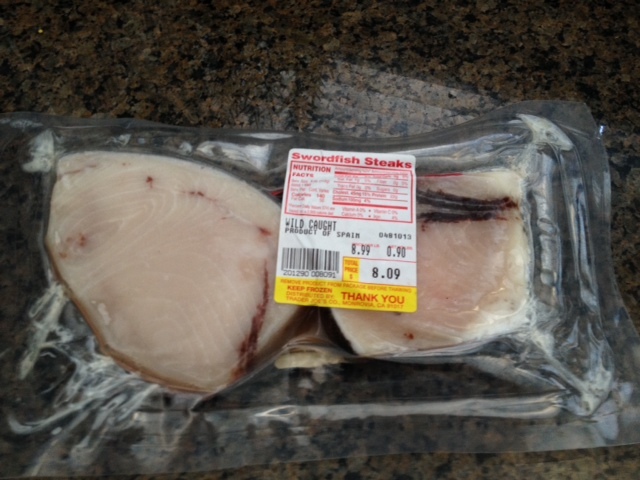 Trader Joe’s sells swordfish in its frozen fish section for $8.99 a pound. 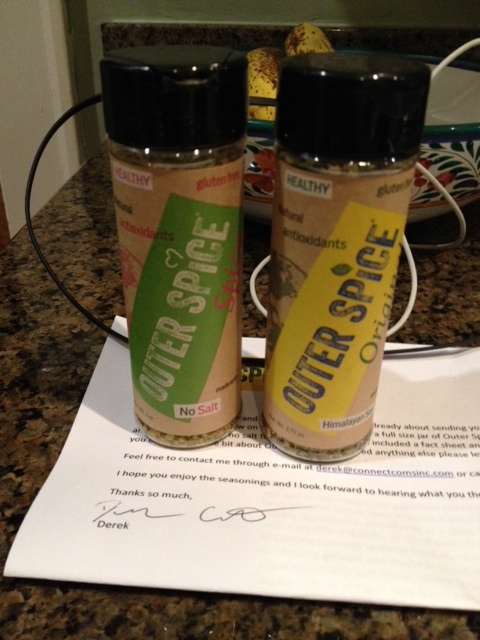 A food blogger friend recently told me about Outer Spice, a brand of spices that offers no-salt and low-salt varieties. I’m always searching for low- to no-salt ways to give some taste to my post-angioplasty diet these days, so I got in touch with the Texas-based company and asked for samples to review. Two varieties of Outer Spice, which offers no-salt and low-salt blends. 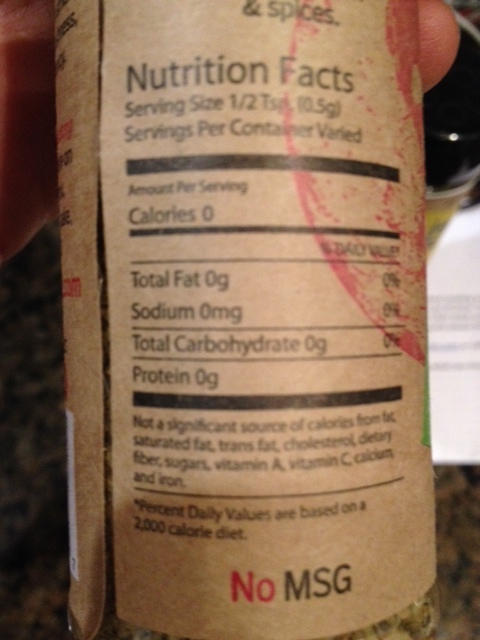 The Outer Spice nutrition label for the salt-free spicy mix. What is the Total Truth about Carbs? As I’ve written before, nutrition science is a moving target with constantly changing theories, but this is a good look at carb thinking at the moment.